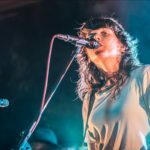 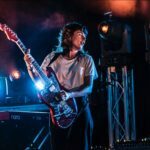 ARIA Award-winning and Grammy and BRIT Award nominated artist Courtney Barnett lit up Darwin’s PINT Club stage last Wednesday, January 30th, along with her support Camp Cope and local artists. 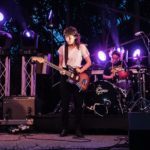 Internationally-renowned Barnett is know for her growling guitar work, witty meandering lyrics and awesome stage presence and she brought it all with her to the PINTs. 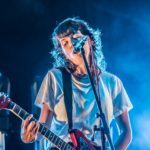 Her band features one of the tightest rhythm sections you will ever hear, and her keyboardist’s accompaniment fleshes out her songs expertly. 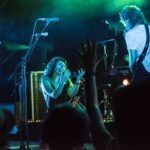 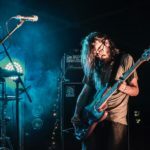 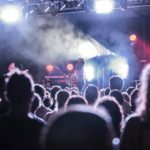 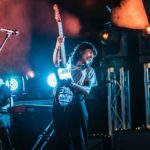 It was no wonder Courtney drew in a huge and appreciative crowd to the PINTs on a school night, and having the awesomely quirky Camp Cope on the ticket was a masterstroke – the two indie bands complimenting each other perfectly. 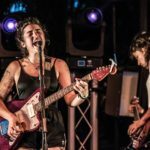 Courtney came out a little early to accompany Camp Cope and Camp Cope lead Georgia Maq returned the favour during Courtney’s set. 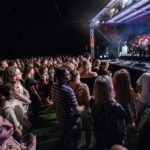 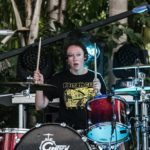 Many thanks to Darren Howard of the PINT Club and Russell Temple of Darwin Events for arranging access and putting on a heck of a show, making the PINTs one of the premier live music venues in Darwin at the moment.